The LB Ranch is 100 acres of prime real estate along I-75 in Monroe, Ohio. 50 Acres are located north of Mason Rd. and 50 acres are south of Mason Rd. The Ranch is located between Gallaher Road and I-75 and bisected by Mason Road. According to Monroe Councilman Bob Kelley, "They are marketing it as commercial real estate, which is consistent with the change in zoning considered in the comprehensive plan from R3." 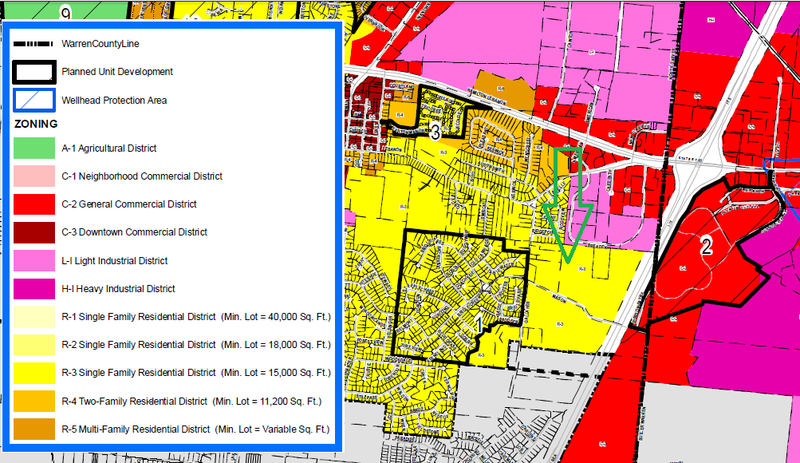 Currently that piece of land is zoned R3 according to http://www.monroeohio.org/maps. Monroe News has contacted the seller for additional information.